The heavy class ship from the Erebus Consortium. This hulking ship sacrifices agility for a stronger hull and heavy offensive weapons. 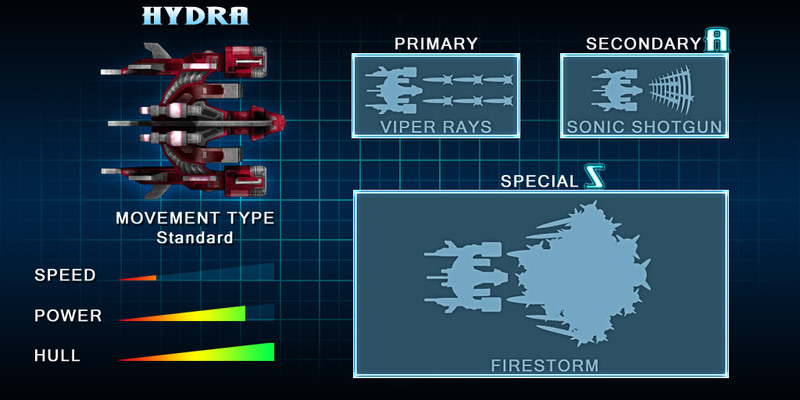 The HYDRA can blast through its enemies with its Sonic Shotgun and Viper Rays. The ship is also known for the powerful Firestorm attack, which can melt down the hull of any ship if exposed to the flames for too long. Disclaimer: This Site Features Real In-game Assests.